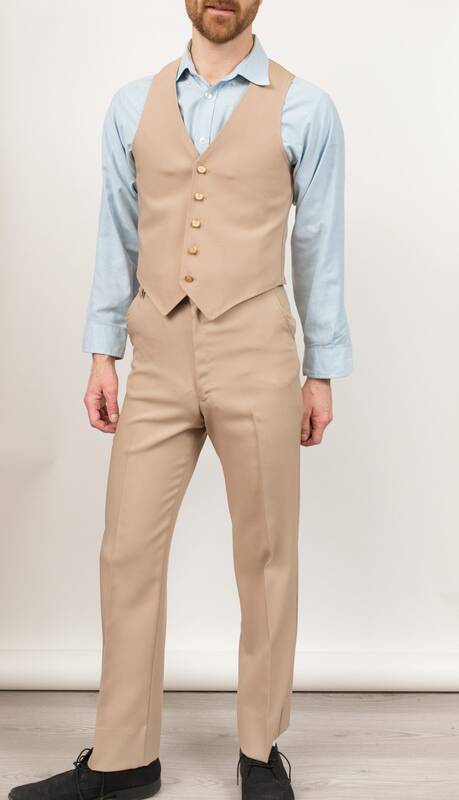 This is a classic vintage tan coloured 3-piece lightweight men's suit. Machine washable! 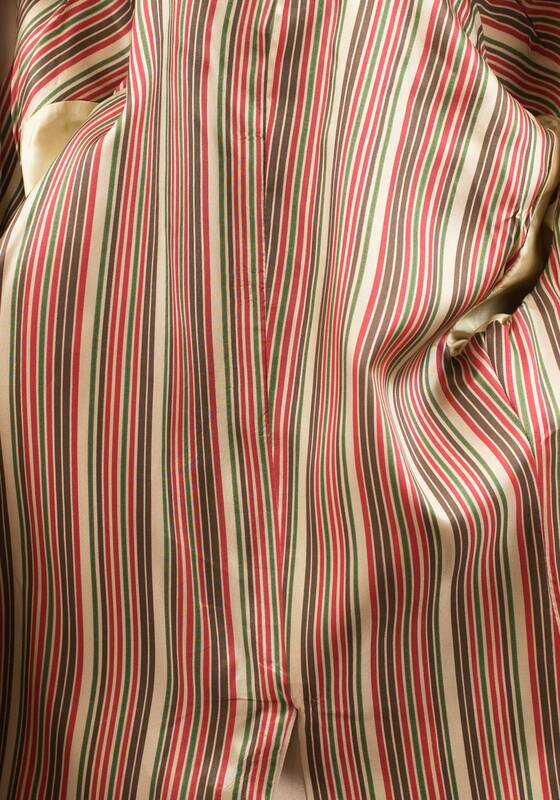 It is a thin polyester material. Lightweight and great for summer. 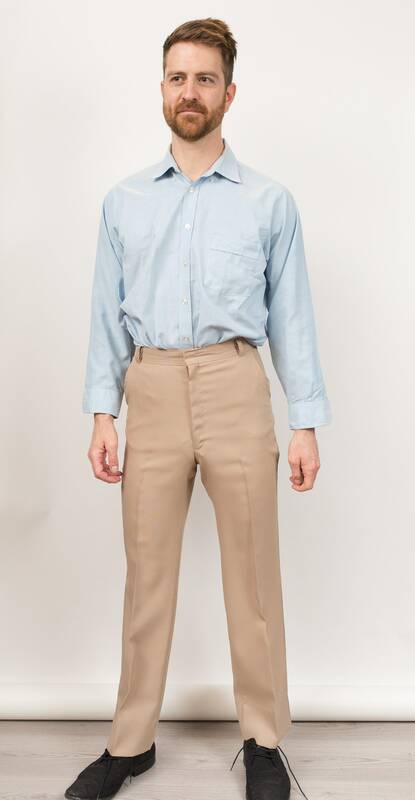 Fits Like: small (Model wears medium and is 5”11 and the suit is too tight on him).